The neck is a delicate structure. Neglecting its well-being can lead to big trouble. Read on to learn about the neck’s complex nerves and bones, and how they interact to keep you going. The nervous structure of the neck begins at the top of the spinal cord, which extends downward from your brainstem. The powerful nerves contained inside control every process of your body, from regulating your breathing to coordinating arms and legs to keeping your stomach digesting its food. They also enable you to move the surrounding muscles to nod your head or turn to look to the side. Naturally, this makes protecting these nerves crucial — which is the job of the bone structure. The neck is made up of seven bones known as the “cervical spine.” Its curve begins developing when you are a baby and can just hold your head up to look around things. A properly-developed cervical curve ensures that your spinal cord is in alignment to promote normal function in the rest of your body. Because the neck requires so much flexibility, its structure is delicate and prone to injury. Falls, car wrecks, sports accidents or other harmful injuries to the area can cause persistent long-term pain, as well as impaired nerve function or even paralysis. If you’re noticing pain in your neck area, it’s important to get to a qualified chiropractor or other medical professional right away. While the inflammation and discomfort caused by an injury may initially seem minor and subside with over-the-counter medications, untreated problems can grow into major health risks. Don’t want until there’s a problem — regular maintenance of your neck area is always a good investment. Qualified professionals can help you adjust your curvature and alignment to increase its functionality and enhance your quality of life. 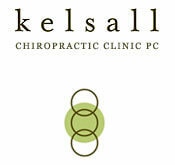 For those in the Portland area, contact Kelsall Chiropractic for neck pain chiropractic treatments and care. If you are seeking a Fort Worth chiropractor, consider the help of ChiroPlus Clinics for specialized treatments.